Item # 306204 Stash Points: 1,499 (?) This is the number of points you get in The Zumiez Stash for purchasing this item. Stash points are redeemable for exclusive rewards only available to Zumiez Stash members. To redeem your points check out the rewards catalog on thestash.zumiez.com. 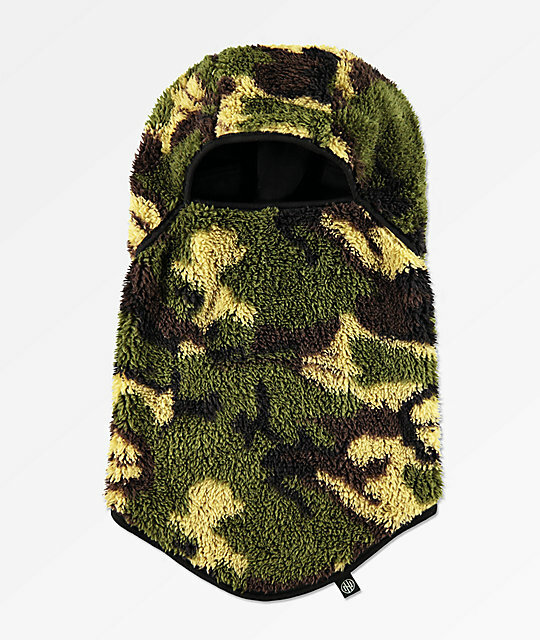 You don't know warm until you've ridden in a balaclava, the Ninth Hall Fuzzy Camo Balaclava is no exception. 100% polyester construction is highlighted by a fluffy and fuzzy exterior for additional warmth and insulation, while the stretch allows for a one size fits most styling. 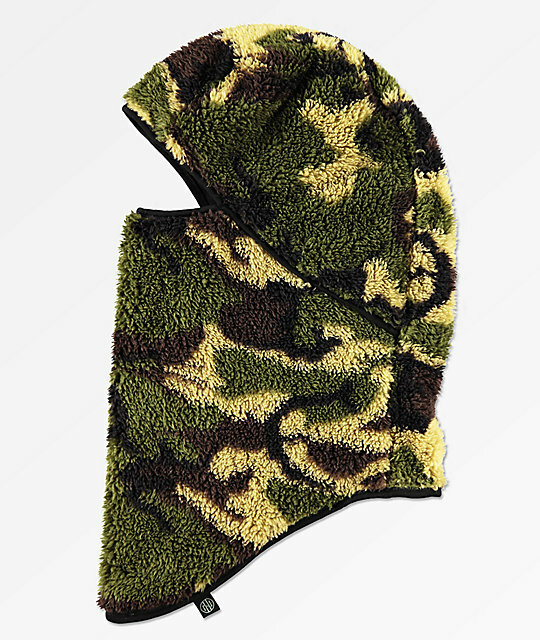 Fuzzy Camo Balaclava from Ninth Hall. Flatlock stitching for chafe-free comfort.